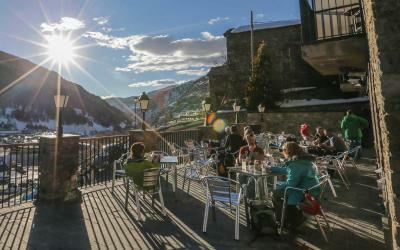 Hotel Del Clos is located in El Tarter, a 12-minute walk from Telecabina del Tarter, and features a terrace and a bar. 0.7 miles from Llosada, the property is also a 13-minute walk away from Fonts Roges. The property has free WiFi. All rooms in the hotel are equipped with a flat-screen TV. Each room is equipped with a private bathroom with free toiletries. All guest rooms include a desk. A buffet breakfast is served each morning at the property. The in-house restaurant specializes in European cuisine. 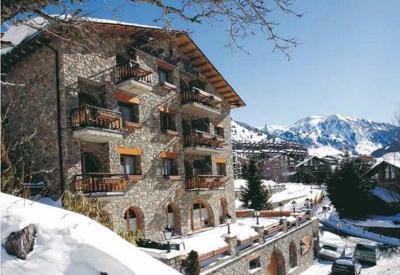 Skiing is among the activities that guests can enjoy near Hotel Del Clos. 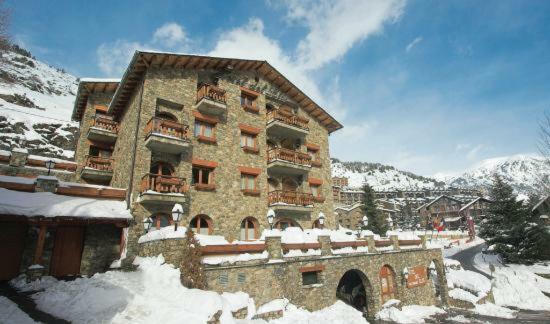 TSF2 Riba is 0.9 miles from the accommodation, while Soldeu el Tarter is an 8-minute walk from the property. 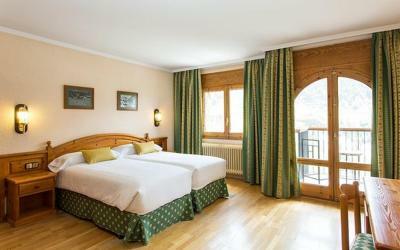 When would you like to stay at Hotel Del Clos? House Rules Hotel Del Clos takes special requests – add in the next step! Hotel Del Clos accepts these cards and reserves the right to temporarily hold an amount prior to arrival. We need at least 5 reviews before we can calculate a review score. If you book and review your stay, you can help Hotel Del Clos meet this goal. Housekeeper took towels from the floor and hang up. It happened two days. Good breakfast and dinner and afternoon tea. Big ski-room.